Shopping for Green Solutions for Earth-friendly Cleaning Applications? Where can I find HG Labs Products? Harmony can be found in several Whole Foods Markets and Bed Bath & Beyond. Go to the Harmony Website (on side bar) for information on how to locate Harmony products. Brightly Green can be purchased from Distributors, Co-Ops, Buying Clubs and from our Internet Store. Go to the Brightly Green Website (on side bar) to locate Brightly Green products. Baby Harmony can be purchased from the Brightly Green Home Store . Go to the Brightly Green Website (on side bar) to locate Baby Harmony products. HG Laboratories has devoted their expert research team to develop products that will provide safer working conditions. The use of natural products instead of chemical based products will increase productivity and help prevent injuries from harmful fumes and chemicals. Chemicals that have impacted the everyday health of ourselves, customers and co-workers. With the prospect of new laws requiring green compliance in the near future, now is the time to consider new alternatives. HG Laboratories is set apart by not only providing green cleaning products that are 100% environmentally safe and renewable they are also cost effective. HG Labs can meet all of your cleaning needs. All non-toxic cleaners manufactured by HG Labs contain our unique blend of ingredients that comes from nature. 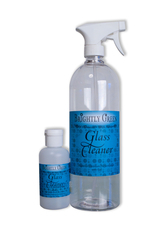 This Earth-friendly blend provides superior cleaning. Each planet-friendly formula is balanced to achieve optimum performance without causing any damage to the environment. You can reduce your exposure to toxic hazardous cleaning products within your workplace with HG Laboratories, LLC products.